hah. sape2 yg tnggl kt apartment baiduri, blok4 msti dpt neh. 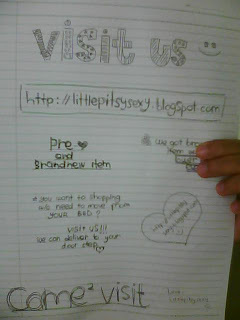 red made a flyer for our littlepitsysexy blog. putting this at their house. perniagaan agak maju.happy for us. i just sold a brown skirt last week.